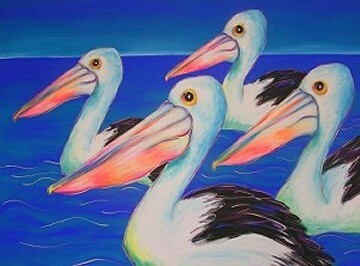 I have been hanging out to paint pelicans, this commission gave me the excuse I have been waiting for. Pelicans are amazing birds who in flight remind me of big old Hercules aircraft. While on the water they appear as blokes off to the pub.